2016 is set to be a big year for the National Gallery of Ireland. The refurbishment of the Milltown and Dargan wings, that have seen the closure of a large chunk of the gallery’s floorspace as well as its entrance on Merrion Square, is due to be completed. With it the National Gallery of Ireland is set to be ready for the 21st Century and beyond. It is perhaps this nod to the future that inspired the collaborative show due to open this weekend entitled: Uniform. 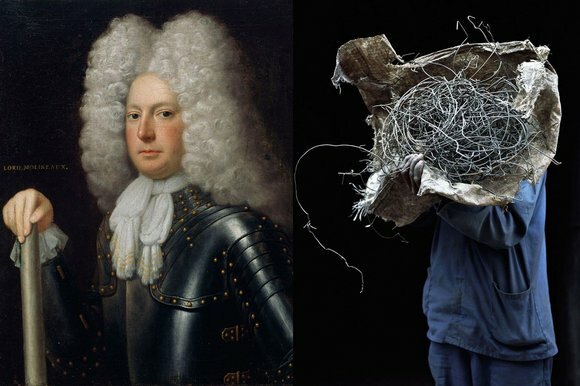 The show is curated by photographer Jackie Nickerson and the gallery’s Curator of Irish Art Dr Brendan Rooney. Uniform sees the former’s recent series Terrain coupled with a selection of portraits from the gallery’s permanent collection. Terrain saw Nickerson challenge the concept of portraiture through her photographs of southern African farmers and agricultural workers obscured by the tools and objects they carry in their day-to-day lives. Their juxtaposition beside more traditional and classic forms of portraiture creates a platform for an introspective look at the role portraiture has in modern society as both a means of capturing likeness and expression. It is this dialogue that makes this show one of the most intriguing and unique series the National Gallery has shown in recent times. Uniform opens this Saturday and runs until the 10th January.